Prestige and Performance. German Vehicle Specialist. All Makes and Models. At Mastertech Automotive we are a BMW, Porsche, German Car Specialist, and Prestige and Performance Specialist. All of our work is carried out to and above main dealer standards. Although we specialise in BMW, M Badged BMWs, Porsche, Mercedes-Benz, Smart Cars & Volkswagen Group Cars we also cater for all makes and models. 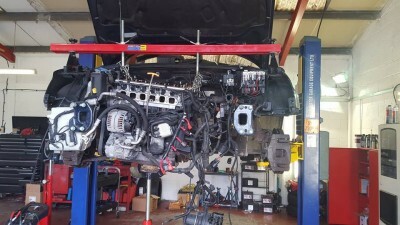 We have a lot of experience and success in finding hard to find faults and common rail diesels, along with Valve Adjustments, Sub Frame Inspections, Inspections & Vanos Overhauls on BMWs. We have full access to all main dealer web facilities and technical data, and our specialist knowledge in advanced diagnostics along with our full dealer access allows us to find your fault first time round! 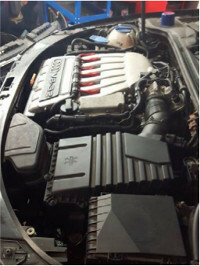 We also have a long list of trade associates who use us to carry out their contracted diagnosis and bespoke test plans. 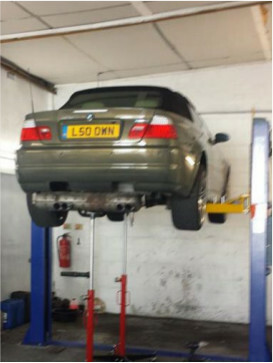 We own and use specialist tools and technical data to correctly diagnose your fault, even if it has been previously mis-diagnosed at previous garages. Our specialist equipment include the latest oscilloscopes to accurately test sensors, allowing us to fully understand the exact waveforms, voltages, amp draw, pulse-width-modulation and operation of every component on your vehicle. Visit our Garage Services page for more information. 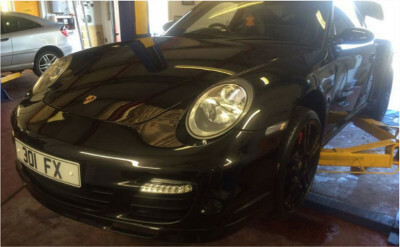 At MasterTech Automotive we offer garage services to all makes and models, and have specialist knowledge with German Vehicles. 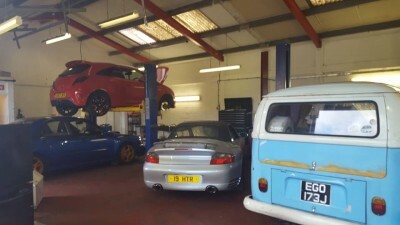 We also specialise in carrying out advanced diagnostics, ECU coding, injector coding, common rail repairs, specialist services, dealer servicing, mechanical repairs and much more. We have close links to local dealerships in Ashford and throughout Kent who use us to service and repair their vehicles. Whether we're putting your car through its annual service to main dealer specification, to replacing your worn cambelt, or arranging your MOT, MasterTech Automotive offer a full range of garage services in Ashford. Our services include basic servicing, full manufacturers servicing, repair common rail diesel engines, injector coding, give your car an advanced diagnostics to find and repair faults, common and advanced engine repairs, cambelt replacements, cylinder head repairs and common maintenance. As the ONLY German Car Specialist in Ashford, Kent we are particularly proficient in working on BMW's, M Badged Vehicles, Porsches, Mercedes, Smart Cars and VAG Group vehicles. We thoroughly enjoy working on these cars, especially high-performance vehicles and have plenty of experience in setting up track based cars including 911 Turbo's, M3's, M5's and setting up drift cars. MasterTech Auto utilise the latest specialist tools, main dealer software and diagnostics equipment. Through understanding how the components in your car should behave and operate, we can achieve a first time fix attitude. This should be considered normal practice in our industry and not the exception to the rule. Our primary goal is always for components to be tested rather than "guessed". It is this "guessing" which can often give our profession a poor image through inflated bills and labour costs. With MasterTech you can be assured of quality worksmanship. Please visit yell.com and search MasterTech Automotive to view some of my customer testimonials or visit our testimonials page. Many of our great reviews and testimonials come from happy customers with high performance or M-Cars, even cars that have been in and out of the main dealer network and got no closer to solving their issue. With the combined knowledge of our technicians, satisfaction guaranteed and affordable prices we ensure you won't want to go elsewhere! Regardless of your repair, call us today for FREE advice or to book an appointment. We aim to offer specialist experience at affordable prices, regardless of make. We will employ the latest technology and methodical thinking for a first time fix attitude. We understand how components works- therefore we wiill always test before replacing. We may be small but we carry a large expectation allowing us to guarantee affordable labour rates, we are also one of the only repairers working 7 days a week, including sundays by appointment.